Whether you skim a blog post, peruse files for work, or browse through a book, you most likely do some type of reading every day. But slogging through dense passages of text can be time-consuming, mentally exhausting, and hard on your eyes. If you want to read faster while maintaining reading comprehension, check out these seven tips. Viewing a film’s trailer before watching the movie gives you context and lets you know what to expect. Likewise, previewing a text before reading it prepares you to quickly gain an understanding of what you’re about to read. To preview a text, scan it from the beginning to the end, paying special attention to headings, subheadings, anything in bold or large font, and bullet points. To get a big picture understanding, skim the introductory and concluding paragraphs. Try to identify transition sentences, examine any images or graphs, and figure out how the author structured the text. Strategically approaching a text will make a big difference in how efficiently you can digest the material. First, think about your goals. What do you want to learn by reading the material? Jot down some questions you want to be able to answer by the end. Then, determine the author’s goal in writing the material, based on your preview. The author’s goal, for example, might be to describe the entire history of Ancient Rome, while your goal is simply to answer a question about Roman women’s role in politics. If your goal is more limited in scope than the author’s, plan to only find and read the pertinent sections. Similarly, vary your plan of attack based on the type of material you’re about to read. If you’re going to read a dense legal or scientific text, you should probably plan to read certain passages more slowly and carefully than you’d read a novel or magazine. Reading quickly with good comprehension requires focus and concentration. Minimize external noise, distractions, and interruptions, and be mindful when your thoughts wander as you read. If you notice that you’re fantasizing about your next meal rather than focusing on the text, gently bring your mind back to the material. Many readers read a few sentences passively, without focus, then spend time going back and re-reading to make sure they understand them. According to author Tim Ferriss, this habit, called regression, will significantly slow you down and make it harder to get a big picture view of the text. If you carefully and attentively approach a text, you'll quickly realize if you’re not understanding a section, saving you time in the long run. 4. DON’T READ EVERY WORD. To increase your reading speed, pay attention to your eyes. Most people can scan in 1.5 inch chunks, which, depending on the font size and type of text, usually comprise three to five words each. Rather than reading each word individually, move your eyes in a scanning motion, jumping from a chunk (of three to five words) to the next chunk of words. Take advantage of your peripheral vision to speed up around the beginning and end of each line, focusing on blocks of words rather than the first and last words. Pointing your finger or a pen at each chunk of words will help you learn to move your eyes quickly over the text. And it will encourage you not to subvocalize as you read. Subvocalization, or silently pronouncing each word in your head as you read, will slow you down and distract you from the author’s main point. 5. DON’T READ EVERY SECTION. According to Dartmouth College’s Academic Skills Center, it’s an old-fashioned myth that students must read every section of a textbook or article. Unless you’re reading something extremely important, skip the sections that aren’t relevant to your purpose. Reading selectively will make it possible for you to digest the main points of many texts, rather than only having time to fully read a couple. Your job shouldn’t end when you read the last word on the page. After you finish reading, write a few sentences to summarize what you read, and answer any questions you had before you started reading. Did you learn what you were hoping to learn? By spending a few minutes after reading to think, synthesize the information, and write what you learned, you’ll solidify the material in your mind and have better recall later. If you’re a more visual or verbal learner, draw a mind map summary or tell someone what you learned. Approaching a text strategically, reading actively, and summarizing effectively takes practice. 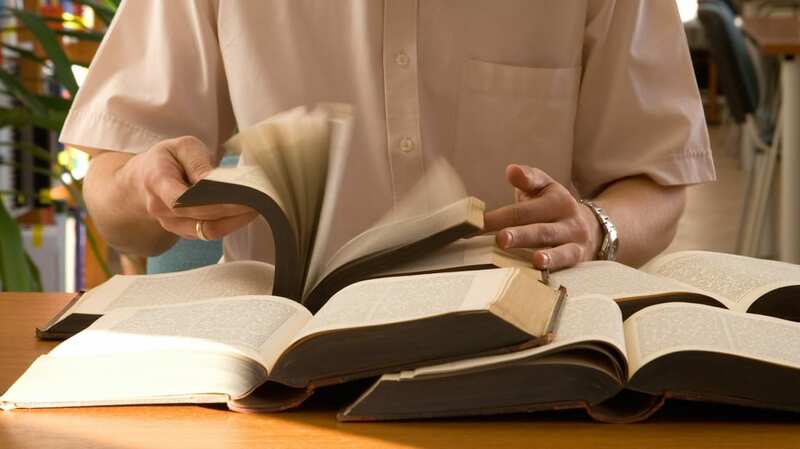 If you want to improve your reading speed, use a timer to test how many words (or pages) per minute you can read. As you’re able to read faster and faster, check in with yourself to make sure you’re happy with your level of comprehension.